While the country is ravaged by a crippling economy it is a lightweight problem compared to what's happening to a portion of American families---military families. They are experiencing something more severe than financial loss---emotional devastation----as their loved ones; son's, father's, husband's and brother's---are coming home from their tour in Iraq---laden with cancer. Their flag draped coffins don't trail through Andrew's Air Force Base for a final salute. Their coffins and urns are discreetly transported to the family's resting place, six months, one or two years after they return home---with no media fanfare. 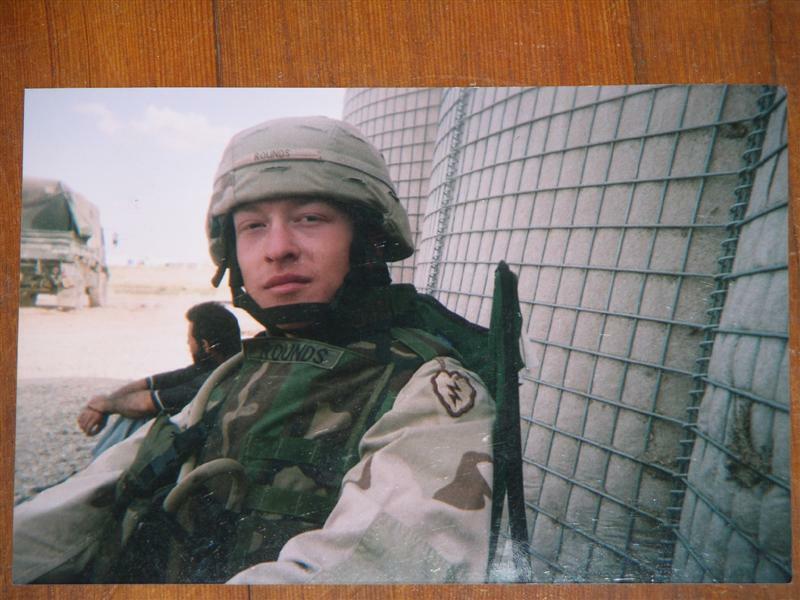 The day before Halloween 2002, Andy Rounds just nearing 18 years old began boot camp. It was a family tradition to join the military, as his father and grandfather had both served. The self-professed spiritual warrior trained as "14 Juliet" air support for incoming aircraft by identifying them on radar. His home base in Hawaii, the Army's Scholfield Barracks. 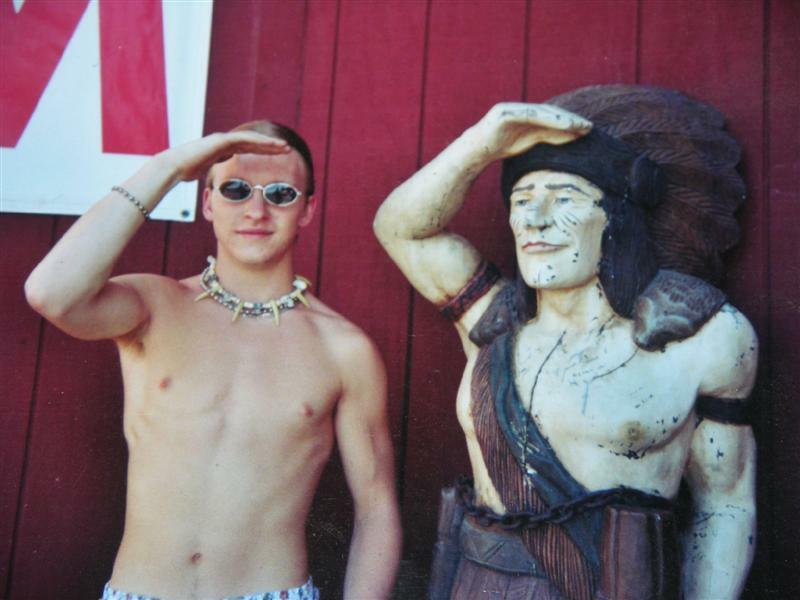 An outdoorsman, he was the epitome of health, finding enjoyment in jogging, swimming, skateboarding, camping and hiking. The military newspaper, Stars and Stripes highlighted him early on for his outstanding physical endurance on his initial PT test. So there was no surprise in January 2004 SPC. Rounds was selected to deploy to Iraq. 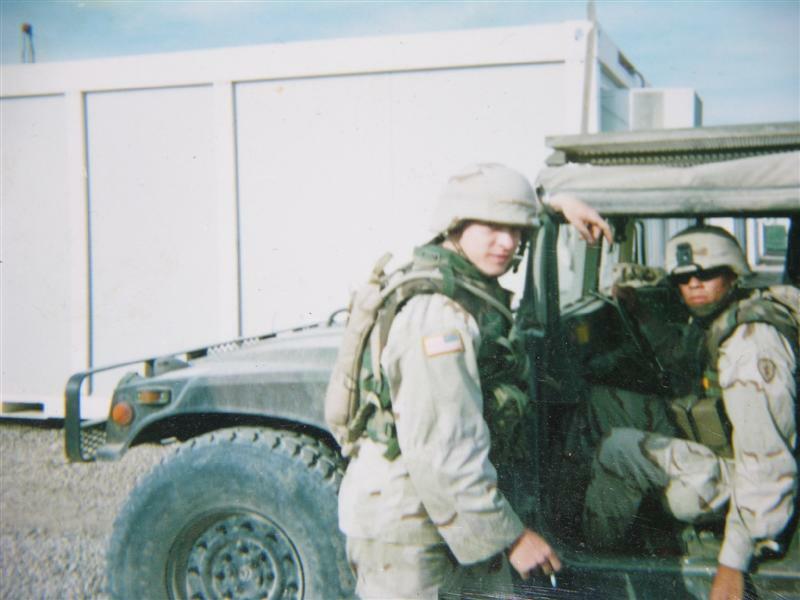 On his first convoy from Kuwait to Kirkuk he rode atop the last humvee manning a 50 caliber gun. During the eight hour desert journey he drove through hazardous burn pit smoke, ten times more toxic than the sulpher and carbon dioxide plumes found at coal plants in the U. S. accused of producing Acid Rain. SPC. Rounds exposure to Iraq's environmental toxins had begun. 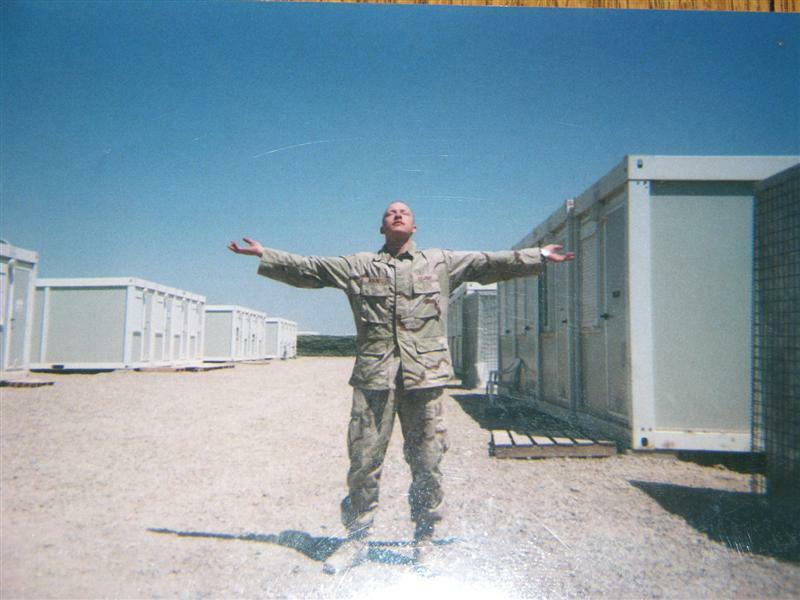 He settled into the Forward Operating Base camp in Kirkuk, Iraq. His duties were Tower Guard, checking-in locals working on the base, while escorting transfer workers around the base. He also escorted his crew to the laundry facility and stood guard over them. But everything changed a few months into his tour, after he'd been involved in an explosion at the camps ammunition dump---a depleted Uranium graveyard. Unknowingly, the radioactive smoke and dust amplified his exposure. "He and another soldier were heading towards the chow area when the ammo dump exploded," his mother Lisa Rounds recounted. "They were so close that running to shelter wasn't an option. The explosions sent shrapnel flying all around them for about 15-20 minutes. They laid frozen in a low area until it was safe to move." This episode brought a change to the young soldier, as he began feeling very depressed and started giving away many of his possessions. His mother said she thought it was strange. "And it made me uneasy. Although the depression was understandable at the time, mortars were often lobbed into his base. One hit the barracks next door, but luckily that camps soldier was on guard duty, and the mortar didn't explode." Like some teens predicting their own deaths, SPC. Rounds always had a feeling that he was going to die at 17. "Andy had a premonition that he wouldn't live too long. But when he lived past that age it was like hooray!" his mother remembered. After 14 months in Iraq his tour ended October 2005 and SPC. Rounds headed back to Scholfield Barracks in Hawaii. Besides complaining of his feet hurting, and his inability to jog or work-out as frequently, he was in good health. Within a year his term ended and he separated from the Army. By October 2006 he was enroute back to Oregon where the 20 year-old rented an apartment and worked for a local business delivering furniture. But within months SPC. Rounds developed a persistent stuffy nose and a portion of his vision became blurred. "He just felt bad. Intuitively he knew something was very wrong inside," Lisa Rounds recalled. So SPC. Rounds went to the local Lebanon, Oregon hospital where a doctor diagnosed him with a sinus infection and prescribed medication. "He did not improve after a week or so and returned to the doctor complaining of coughing up and vomiting blood and his vision problems," Lisa Rounds said. This doctor was more concerned then the first and sent SPC. Rounds for a CT-scan of his sinus and chest areas. Another doctor followed-up after the scan but didn't seem worried and adhered to the initial diagnosis of a sinus infection, telling SPC. Rounds, 'Yep, you're full of snot.' And ordered him a stronger medication. Two days later Lisa Rounds just happened to stop by her sons apartment to check in on him. Except she found him sprawled out on his bedroom floor semi-conscious. "I called 911 and he was taken to the local hospital," she said. "If I had arrived a half hour later he would have been dead." The ER doctors thought it might be spinal meningitis and quarantined him, but his CDC came back negative. The blood panel showed his white blood cell count elevated to over 400,000 [10,000 - 70,000 being normal]. "Andy had continual seizures, and piticea where red dots blanketed the skin on his legs and stomach. It was a symptom that his blood capillaries were bleeding-out. His unconsciousness was due to bleeds in the brain," his mother explained. "And if they didn't figure out the cause immediately he was going to die." The Rounds' remained confident in the doctors as they had no reason to doubt their diagnosis. "We couldn't comprehend it at the time that his symptoms were life threatening," she admitted. The local doctors at Lebanon, at least a half dozen, were baffled by the multiple symptoms after his collapse. It was difficult for them to stabilize SPC. Rounds so they consulted with doctors at Oregon Health and Science University Cancer Institute [OHSU] in Portland and decided to medEvac him there. Finally on January 23, 2007 the Rounds' family was informed that their young son had Acute Myeloid Leukemia [AML]. "We were told it was so aggressive that nothing was working and he was not going to survive," his mother mourned. "It was the reason for the bleed-outs---the leukemia was changing the structure of his blood. Unknowingly, when Andy complained months earlier that his feet hurt, it was the AML, it started to settle in the bones of his feet." Once SPC. Rounds was properly diagnosed he immediately went into surgery for a craniectomy. In order to relieve the pressure from the bleeds in his brain, they needed to remove part of his skull. After surgery they induced a coma to try to control his breathing. Lisa Rounds said, "Then similar to dialysis, they cleaned his blood of the leukemia cells and prepared him for chemo treatment." SPC. Rounds remained in a coma for three weeks until he started fighting the breathing machine. His new doctor at OHSU Dr. Tibor Kovacsovics callously remarked his first impression of the Rounds' case, 'I'll prepare the chemo, but I'm not going to treat a vegetable.' The Rounds' were horrified at the insensitivity. But then Dr. Kovacsovics valiantly took on the case and did all he could to help their son survive. SPC. Rounds received a port in his chest for easy access of the nearly ten doses of chemo, sometimes two together. And three tracheotomies. He slowly came out of the coma. His mother observed, "Beyond the physical damage, we knew Andy was still "in there." It took months for him to come out of the confusion from the brain injury, he had to re-learn how to talk and walk. It was such a difficult time...he had short term memory loss and partial right side paralysis." Everyday SPC. Rounds confidently worked at his rehabilitation, and surprising many, quickly re-learned how to talk and walk. "It was uplifting that he was so resilient. He was an amazing miracle," Lisa Rounds said with astonishment. "The doctors said they thought his brain injury was too severe to survive, let alone be intelligent, still have memories and retain the same personality as before. But we had faith and believed our son would beat this thing." After about six months of treatment and rehabilitation at OHSU, SPC. Rounds was finally able to go home with his parents. "He took everything so well, and knew the seriousness of it. Andy kept thanking us for taking care of him. He persevered for his Mom and Pops," she said lovingly. SPC. Rounds felt disappointed of what he was putting his parents through. "He was not happy that it was happening to him, but he was also accepting of the possibility that this was reality and he would probably die. He tried so hard though. He has always had faith that there is existence after life, so he wasn't afraid, but he knew how very sad this would make us feel," Lisa Rounds shared. Because SPC. Rounds was feeling so down about his situation he didn't socialize much nor did he share any of his Army buddies' names with his family. "It was strange that way, Andy always had a bazillion friends, he was special in that he made everyone he spoke to feel like they mattered and had interesting stories to tell," she remarked of her son. SPC. Rounds would rally for a short time and then the AML would take over again. Then in mid September 2007 after a joyous 30 day stay with his family, he returned to the hospital in Corvallis, Oregon where he received care for the next six weeks from Dr. Steven Neville. Unfortunately it would be the final weeks of his life. Surrounded by his family, the young soldier, almost 23 years old would take his last breath, and on October 20th, 2007 his spirit would relinquish his body and sail off into the ethers. The spiritual warrior found peace in his new after world, one without pain or suffering, and made up of love and kindness. "He touched so many people's lives, it still amazes me. He was a gift to us and we're so happy we got to be Andy's parents," his mother confided. Because of the brain injury they really couldn't speak to their son about his final wishes. But had discussed it in the past and SPC. Rounds expressed his desire to be cremated and buried at the local cemetery. "Some of his ashes were spread at is favorite camp site near our home," Lisa Rounds informed. He left behind a sister, April that will turn 29 this year. The Rounds' are convinced their son was exposed to toxins in Iraq and DU during the ammo dump explosion at his base in Kirkuk March 2004. 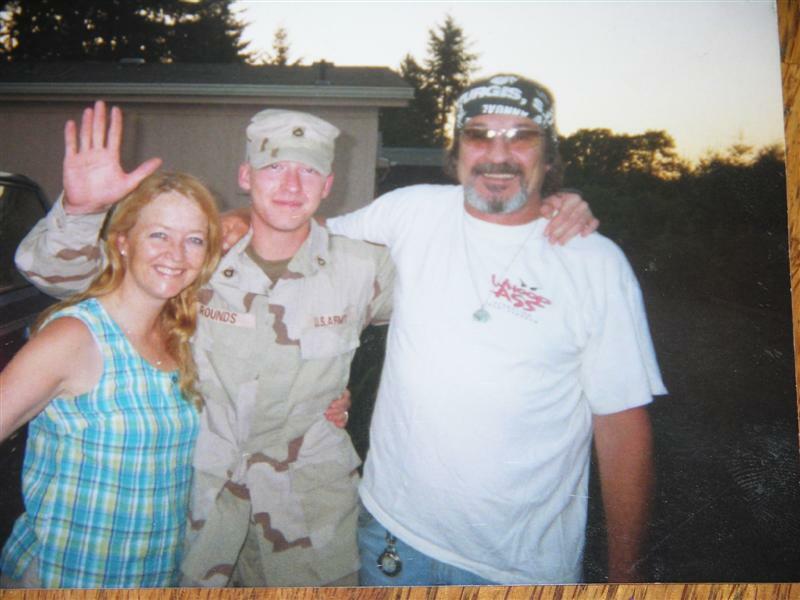 When the Rounds' voiced their concerns to the Portland VA Assistance Offices, they were 'very nice' but the main governmental VA department was unresponsive to their son's condition. "We were shocked by the brick wall we hit at the VA. Because with this particular cancer, it takes 1 - 2 years for it to manifest, which coincides with his term in Iraq," Lisa Rounds said with astonishment. "They tried everything they could to get help for Andy, but because it was an illness and not an injury, there was no assistance for him. So the Oregon State Health Plan stepped in when the VA wouldn't because they felt Andy was a worthy cause. So we're very grateful to them for taking care of our son." Not only would the VA not take responsibility for this soldier's rare cancer diagnosis and 14 month tour in Iraq, suffice to say neither would the doctors at OHSU. They stand by their medical claims that there weren't any connections between his acute leukemia and military service. From January to October 2007, the Rounds' "fought this battle." "It was a gift we had him for those 10 months---it was like a long goodbye," she solemnly ended. April 17, 2009 ICBUW ---Associate Professor, Scientist, Kadhim Almuqdadi: Iraqi MD and Environmental Researcher in Sweden Initiates International Petition. Because of the radioactive contamination which resulted from the use of uranium munitions in the second (1991) and third (2003) Gulf wars in Iraq. We call on the Governments of the countries who joined the United States in those wars where depleted uranium ammunitions were used, to share the responsibility of the health and environmental disaster of Iraq today. The environmental pollution which occurred after the war, especially the radioactive, has already caused hundreds of thousands of cancer deaths and injuries, and congenital deformities, stillbirths, infertility, and many untreatable ailments. Knowing that no dose of radiation, however low, is safe and harmless, we remind you that no borders, no matter how well-controlled, can prevent the transfer of the radioactive contaminants displaced by the wind to the neighboring countries. Those contaminants have already traveled by tens of kilometers away from the contaminated sites. The environmental problems and health consequences have exacerbated after the invasion of Iraq in 2003, and the country still lacks the potential of immediate and effective required treatment. These factors, among others, have made Iraq unable to tackle alone the thorny and urgent problem of cleaning its environment from the polluted and contaminated remains, or successfully treat the tens of thousands of victim patients, and put an end to the diseases caused by the pollution. The environmental dangers that remain have caused damage to health of the Iraqi people and the peoples of the neighboring countries. We encourage President Obama for an immediate commencement of a campaign to clean up the radioactive waste of depleted Uranium ammunition from American weapons left in Iraq. And also ask the President to please consider vacating the stock of such ammunitions of the US forces stationed in Iraq in order to avoid such disasters in the future.